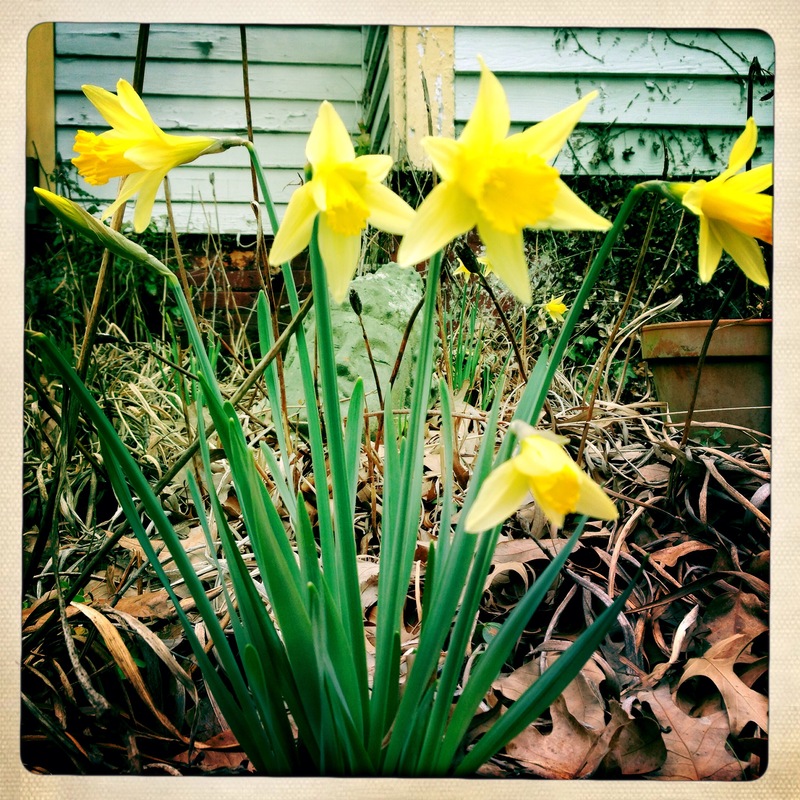 I have been anxious to get out in the garden. Last Friday I managed to plant a climbing rose in the large pot that sits under the obelisk trellis. The climbing rose is to replace the mandevilla that climbed the trellis last year since it died during this winter. The pot with the rose is currently in the greenhouse waiting for the day I can place it in its proper location. I’m keeping it in the greenhouse so it may establish itself. However, once it does it should be able to tolerate the cold temperatures of next winter. I managed to tidy up the beds a little, but I did leave a layer of mulch so to protect anything that is popping up from any late frost. The temperature has warmed up, but it’s still occasionally dropping below freezing during the evening hours. Monday night is supposed to have a low of -7 C/ 18 F! 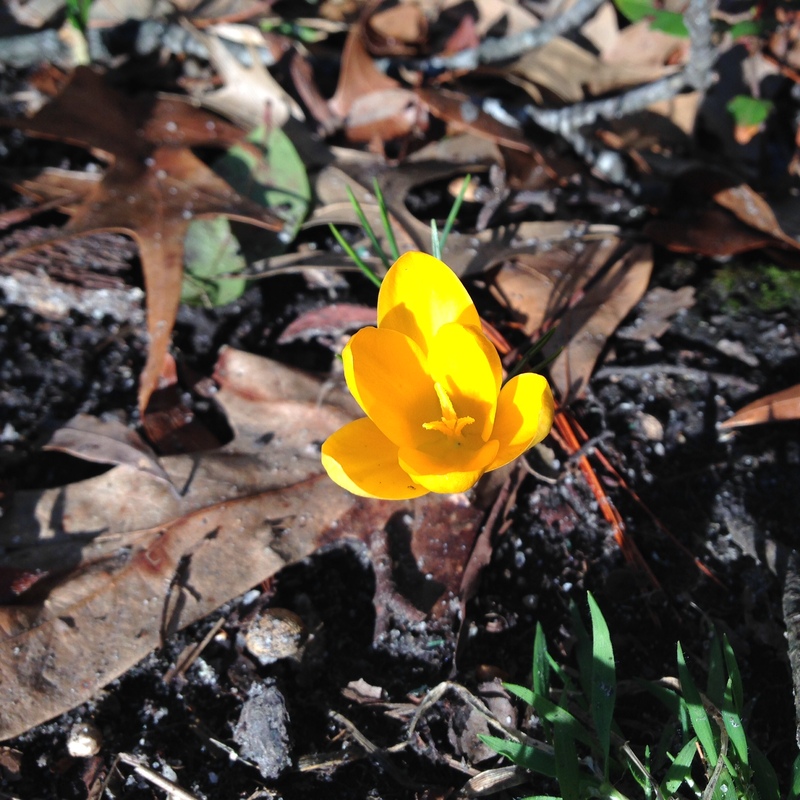 However, the daffodils and crocus are blooming already so I know spring will grace us with its presence soon. Crocosima “Emily McKenzie” (photo from Breck’s). “Purple Beauty” Toad Lily (photo from Breck’s). 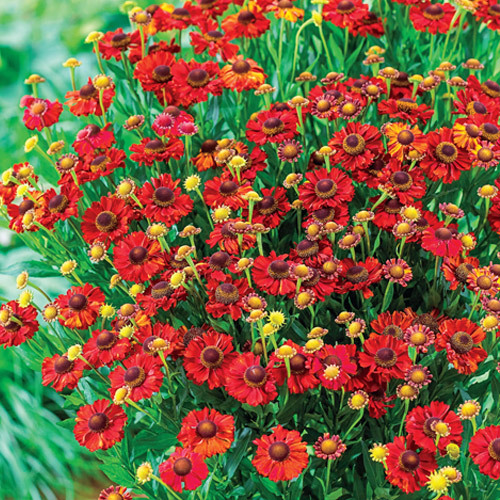 Helenium “Hot Lava” (photo from Breck’s). 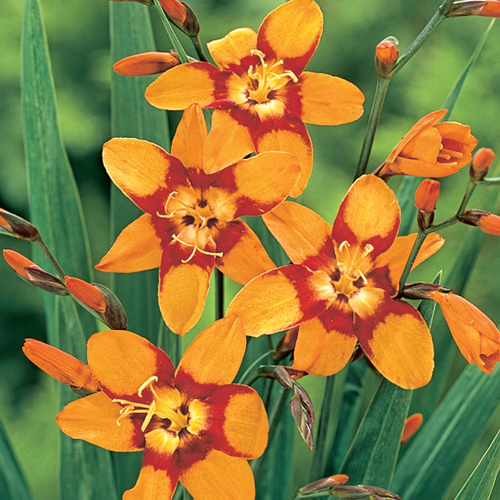 I love the delicate orange petals of the Crocosima. I think it will provide a wonderful mound next to the spicy oregano plant. 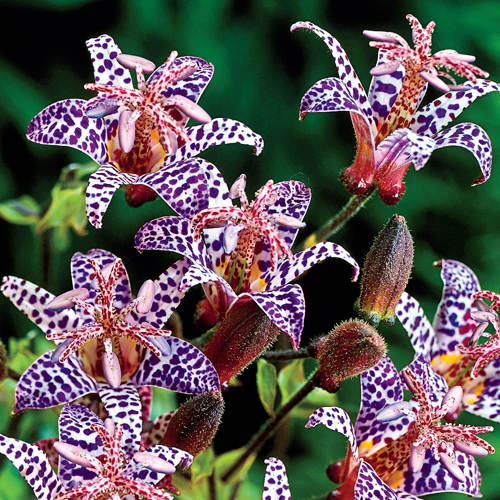 The Purple Beauty Toad Lily is vibrant and energetic. I have several varieties of lily in every bed so planting this with the herbs will help unify the beds. The Helenium Hot Lava is simply on fire! I think I may plant this near the fountain in the herb bed. I can see the fire-red against the cobalt blue of the fountain will be stunning. And last but not least, I ordered four Super Sized Dahlia’s, just of fun. I intend on planting these in those brightly colored flexible planters I grew vegetables in last year. 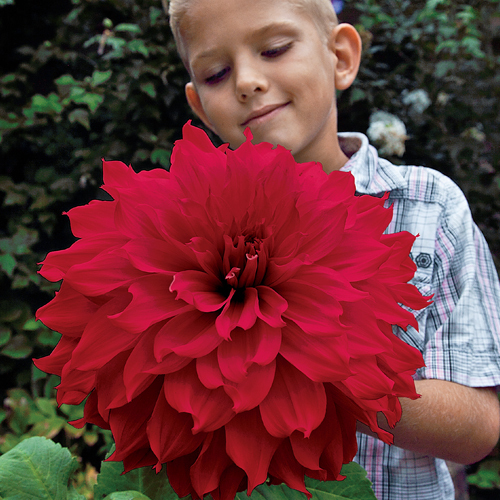 Super Size Dahlia “Winkie Colonel” (photo from Breck’s). I also intend on constructing an arbor as an entrance to the garden from the street. As well as covering the remainder grassy area with landscape cloth and cypress mulch. This will unify the entire garden. Hang in there people, bloom time is a coming! ← Is Tiny or Small Living for Me?